To determine how to prorate rent, courts uses a 30 day month no matter how many days are in the month so always calculate based on a 30 day month. For this example of how to prorate rent, we will use the rent rate of $1000.00 per month. So we take the rent amount of $1000.00 per month and divide it by 30 days to gives you 33.33333333. That means your daily rent is $33.33. Let’s say the move out day is the 15th of the month, then they would owe 33.33 per day times 15 days which brings the total of your prorated rent to $499.95. If you got a different answer than that I would guess you got $499.99. How did I know? You simply did not press clear on the calculator. The reason the numbers are off is the tenths of hundreds of cents. The .333333333 rounds up and can screw with your numbers. In this case, the prorated rent owed is over stated and in court you will lose, case dismissed. Don’t forget to press clear. If the judge calculates the daily rent and doesn’t hit clear, then your notice is understated and your notice would be good. You would just be short by 4 cents. Pick and choose your battle: be short by 4 cents or lose your case knowing how to prorate rent? It’s a no brainer. To calculate how to prorate rent – the daily amount owed when moving out – the formula is very simple. “Daily rent times the move out date”. For calculating a move in date it’s 30 days minus the move in date, plus one, equals the days then, times the daily rent. Let’s play this out how to prorate rent correctly: Say the tenant is moving in on the 15th of the month and rent is $1000.00. Daily rent is $33.33. 30 days minus the move in date equals 15. Don’t forget the plus one (the actual move in date) totaling 16 days. Total move in prorated rent is $533.28. 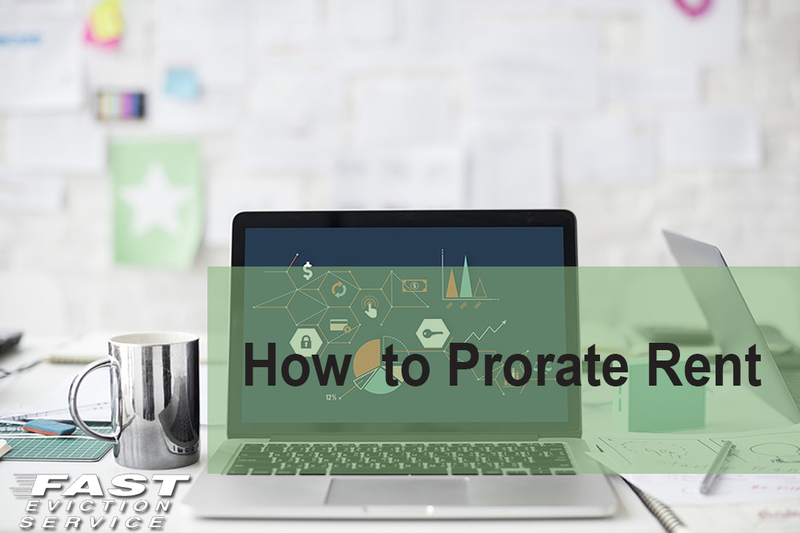 Using the how to prorate rent formula is much easier than counting the days on your calendar. You can double check if you want just to make sure and don’t forget the move in date is day one. If this is a determination that is being challenged in court by a tenant, knowing and using this formula can make the difference between winning or losing your legal case being sure your numbers add up when the judge checks your math.